According to Dr. Brad Smart of Topgrading fame, every mis-hire (of someone earning a base salary of $100,000) costs your company $1.5 Million and 150 hours of other people's time. That's 15 times their salary and about 3 hours wasted per week over the course of a year. Even if you believe these numbers are only 20% accurate, that's still $300,000 per mis-hired employee. Not to mention the lost productivity of others, the lost opportunities and the frustration. You hire a new salesperson for a territory that has a quota responsibility of $2,000,000. It initially takes you 3-6 months to fill the role, another 3-6 months to train the person and another 3-6 months to determine they're not the right fit, terminate them and begin the vicious cycle all over again. At this point, you've lost 9 to 18 months on this exercise and still do not have the right person in the position. During this same period, the territory was supposed to produce $3,000,000 in sales revenue, but more than likely produced less than 1/3 that total. How much did this cost you? Let's assume you spent at least $20,000 during the recruiting and hiring process. You paid this person a total of $102,000 for salary/benefits, plus some commissions on the few sales they completed. And you involved HR, the sales manager and a trainer or superstar salesperson. Assuming the right hire would have achieved at least 80% of quota during this period, this mis-hire cost you at least $250,000 (initial hiring costs, salary/benefits, profit on missed sales revenue) not to mention the time and productivity losses related to others involved in the process. Now, multiply this figure by your number of annual mis-hires. Ouch! Whether big or small, your company cannot afford this drain on capital and momentum! 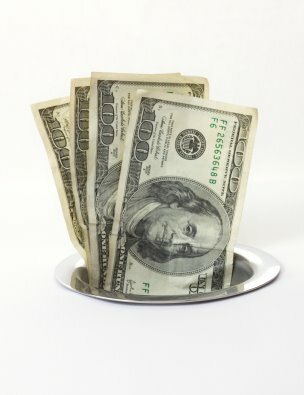 It's time to stop pouring money down the drain and start improving your recruiting and hiring processes (and your bottom line) by recognizing and acting on the high cost of poor hiring. Make your own calculations on the costs of your mis-hiring. Be sure to include initial hiring costs, compensation and benefits, training, severance, missed opportunities, team disruption, and time…not to mention stress and frustration. Then, revisit your entire recruiting and hiring process making sure you have an un-biased process that doesn't over-value or under-value any of the areas referenced above. CEOs will probably be shocked by the true cost of their company's mis-hires. And, you will probably never get the number to $0. But, with this "reality check," informed decisions can be made to improve your recruiting and hiring processes. Ultimately, this will reduce turnover and missed forecasts, while improving the company's overall morale and financial health. Assessments are a definite way to improve your recruiting and hiring process. Interested in including assessments in your hiring efforts? Contact us or call us today at 843-628-3974! Ron McNutt is Senior Partner at RMi Executive Search in Charleston, SC. RMi provides executive recruiting and executive coaching for companies in the Carolinas, Southeast and across the United States.